An American made, authentic backlit poster case with cool, contemporary design. 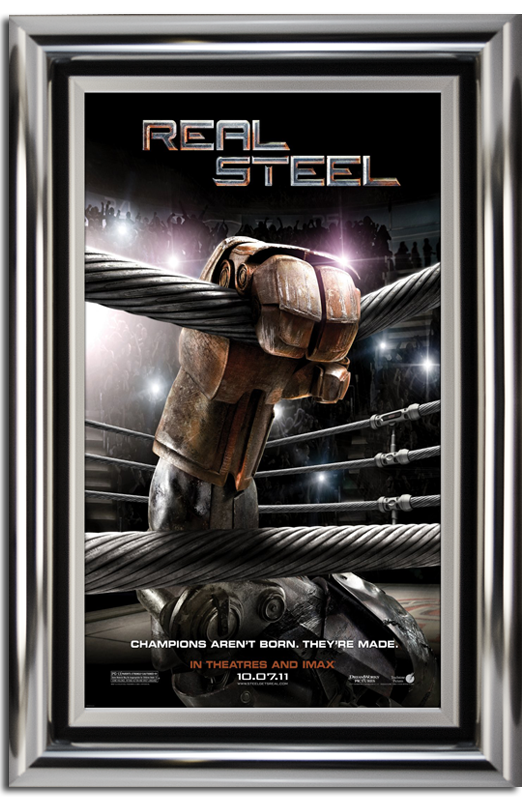 An outer 3 ½” wide round frame matches or contrasts the inner lockable door frame that provides easy access for poster changes, separated by a 1 ½” matte that serves to accent the poster art. This poster case adds a modern and elegant feel to any home theater. Available with or without a Now Showing or Coming Soon dater area. Custom sizes available up request. Available in satin silver, satin gold, polished silver, polished gold, or gloss black or combinations of the same with any color matting.